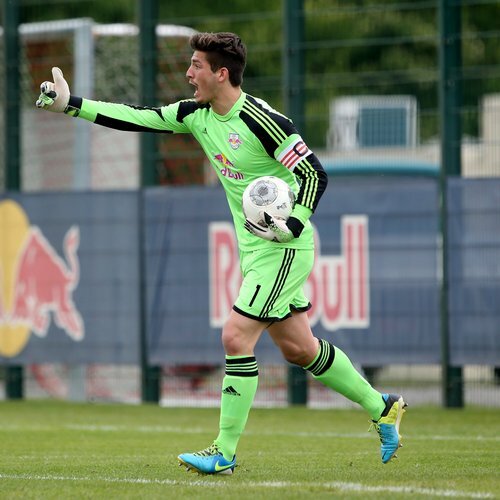 Thomas Dähne (above), who was one of the quartet of FC Red Bull Salzburg goalkeepers last year, is to join RB Leipzig next season. The 20-year-old German played 30 competitive matches in the past campaign for cooperation club FC Liefering in the Heute für Morgen Erste Liga, and kept five clean sheets. 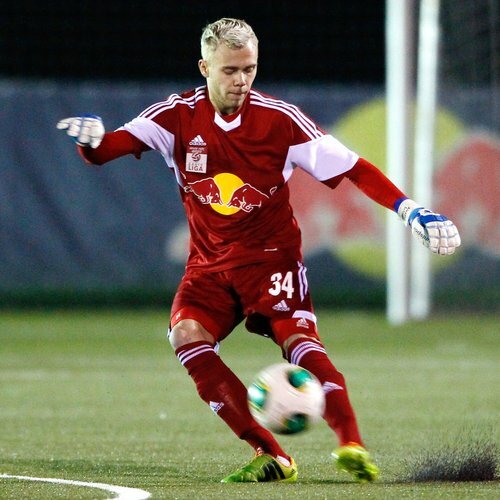 On 26 May 2013 Thomas Dähne made his Red Bull Salzburg debut and played his only match in the Austrian Bundesliga. In the last league match of the 2012/13 season he kept goal for the full 90 minutes against the then newly crowned champions Austria Vienna – and the match was won 3-0. Coming to Salzburg from Leipzig is Fabian Bredlow, (below right) who is currently a German under-19 international. The 19-year-old was part of the under-19 championship-winning team of RB Leipzig who gained promotion to the A Junior Bundesliga, playing 39 competitive matches. The 1.91-metre tall German goes into the new season as the third Red Bulls’ goalkeeper behind Peter Gulacsi and Alexander Walke, but will also appear for FC Liefering. Alexander Schlager, (above right) who was part of the FC Red Bull Salzburg academy’s under-18 championship-winning team in 2013/14 is to replace Fabian Bredlow to keep goal for the A Juniors in Leipzig. The 18-year-old Austrian international goalkeeper will therefore take the next step of his career.